Everyone comes in contact with TSA when they go to an airport. They’re mainly known as the people who screen checked and carry-on baggage. But they do much more than that. Below is a list of 10 things you didn’t know that this federal government agency does. The TSA has nearly 45,000 Transportation Security Officers (TSOs) trained to handle security for more than 20,000 domestic and 2,000 international flights a day. The agency uses more than 600 aviation transportation security inspectors to ensure regulatory compliance across the system. Nearly 60 percent of TSOs have five or more years of experience as counterterrorism professionals, which fits into the agency’s mission. When the agency was created, there was a push to recruit military veterans. As a result, nearly 20 percent of TSA’s employees are either veterans or are still serving in the military. Nearly 200 potential TSOs are trained for two weeks at the Federal Law Enforcement Training Center (FLETC), based in Glynco, Georgia. The center has classrooms, dormitories, and a dining hall that serves more than 4,000 meals a day. TSA’s training module on the campus includes 20 classrooms, 10 simulation labs, and two mission-focused labs. Another four of the buildings house four 6,500-square-foot checkpoint labs and mock airport facilities. After leaving Glynco, TSOs return to their home airports for real-world on-the-job training. The TSA oversees screening and security at nearly 440 airports. TSOs screen around two million passengers a day or more than 700 million a year. They also screen 1.3 million checked items and 4.9 million carry-on items daily for explosives and other dangerous items. More than 800 advanced imaging technology machines, which use automated target recognition software to screen for illegal items, and traditional x-ray machines are used at airports across the country. In 2016, TSOs discovered more than 3,300 firearms at airport security checkpoints. TSA uses what it calls risk-based security, which operates under the assumption that the vast majority of travelers aren’t a threat. Instead, it focuses on using what it calls an intelligence-driven approach that focuses on higher-risk and unknown passengers. Lower-risk passengers can apply to participate in the TSA PreCheck screening program at more than 400 application centers across the country. The program operates in nearly 200 airports and screens more than six million passengers a week. TSA doesn’t only handle security for airports. It also oversees more than four million miles of roadways, 140,000 miles of railroad track, 612,000 bridges and nearly 500 tunnels. TSOs watch over more than 360 maritime ports, 3,700 marine terminals, approximately 12,000 miles of coastline and approximately 2.7 million miles of pipeline. They also watches over 26 million daily trips taken on public transportation across the country. The air marshal program was created during President John F. Kennedy’s Administration in 1962 as the Federal Aviation Administration’s Peace Officers Program. The program evolved several times in the 1970s and 1980s. After 9/11, President George W. Bush pushed forward a quick expansion of the Federal Air Marshal Service (FAMS) program. In 2005, Homeland Security Secretary Michael Chertoff moved FAMS under TSA. The agency randomly deploys armed air marshals across U.S. airline flights out of 20 cities, mainly hubs and larger origin-and-destination markets. TSA’s National Explosives Detection Canine Team Program, created in 2002, is the largest explosives detection canine program in DHS, and the second-largest in the federal government. TSA TSOs, along with state and local law enforcement handlers, come to Joint Base San Antonio-Lackland in Texas, where they are paired with a dog during a 10- to 12-week training course. Explosives detection training is done in 17 venues located on the base, including an airport gate or baggage claim area. There are nearly 1,000 TSA canine teams deployed across the country. Dogs that don’t make the cut during or after the training program can be adopted under TSA’s Canine Training Center Adoption Program. The TSA’s Visible Intermodal Prevention and Response (VIPR) teams "augment the security of any mode of transportation at any location within the United States." It falls under the auspices of TSA's Office of Law Enforcement/Federal Air Marshal Service. These teams have worked with more than 750 law enforcement and transportation organizations across the country to conduct more than 8,500 operations at locations across all modes of transportation at special events like the presidential inauguration, the Special Olympics and music festivals, to name a few. The TSA has a lab in Atlantic City, New Jersey, where it tests all kinds of tools and technology to improve security processes. Employees are charged with testing and developing advance detection technology from conception to deployment through applied research, test and evaluation, assessment, certification and qualification testing. One cool thing is the lab’s blast-resistant facility that studies and evaluates explosives detection equipment and imaging equipment against a large library of domestic, foreign and homemade explosives. As of 2007, TSOs screen 100 percent of all cargo transported on passenger aircraft. They inspect approximately 280 last point-of-departure airports with direct flights into the United States. Approximately 10 billion pounds of cargo is transported on commercial aircraft annually from foreign airports, and there are 40 recognized countries in the national cargo screening program. 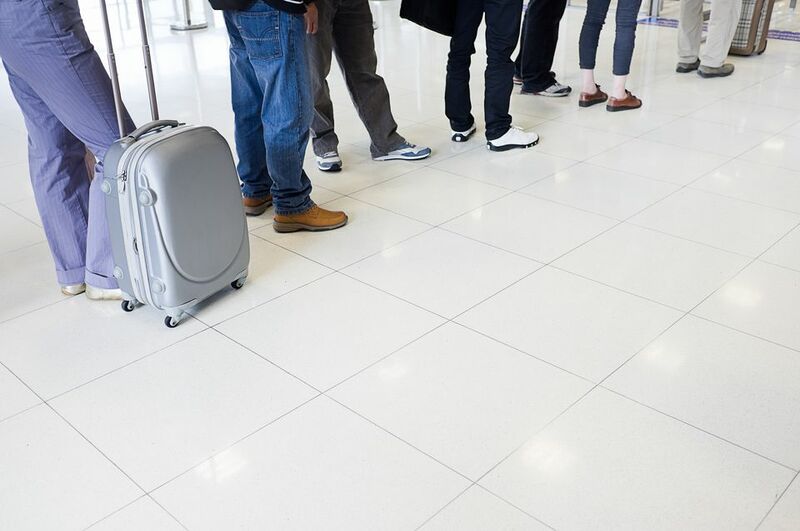 TSA Lines will be long this summer, so here are some survival tips.